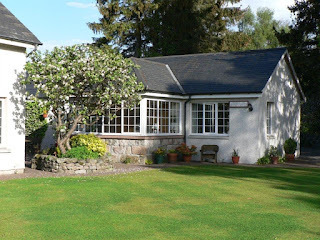 Bridge of Bennie Cottage offers self catering holiday accommodation and is located on the outskirts of the attractive small town of Banchory, Aberdeenshire. Bridge of Bennie Cottage can sleep up to 4 people in one double bedroom with its own en suite, and a separate twin bedded room. 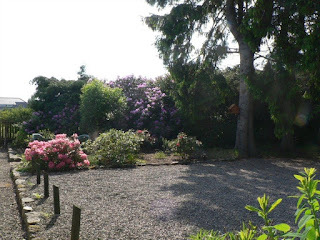 Guests can enjoy use of secluded garden and courtyard. All of the accommodation is on the ground floor, making it ideal for holidaymakers with mobility difficulites. This cottage is on the outskirts of the attractive small town of Banchory. Banchory is in the beautiful, historic Royal Deeside. The area is ideal for hill walking, golfing, fishing and touring. The 'Granite City' of Aberdeen lies 18 miles to the east. There are several restaurants, hotels and takeaways nearby.